Have you found it difficult to study the Bible and live like Jesus? Have you been frustrated because you want to follow Christ, but you may not have the practical guidance how to do so? Do you want to get excited to read and study God’s word? Whether you’re a new Christian, or a long-time follower of Christ, the In His Presence Devotional series will give you clear ways to walk with Jesus while equipping you to read and study the Bible effectively in a fresh way that is easy to understand. God has given me the privilege of not only studying in Israel, Peru, and the United States to earn my B.A. in Biblical Studies with a specialization in Apologetics, but to also serve as a pastor where I have seen God change many lives. The truth you will receive in this book will improve all areas of your life; spiritual, mental, physical, and even financial. If you want to experience excitement for God and His word today then I urge you to stop waiting. Don’t live another moment missing this opportunity. It’s time to get started by taking the 30-Day In His Presence Challenge. Fact or Fiction: Is There Evidence to Support the Reliability of the Bible and the Resurrection of Jesus Christ? Author Aviso did his research when writing this book. 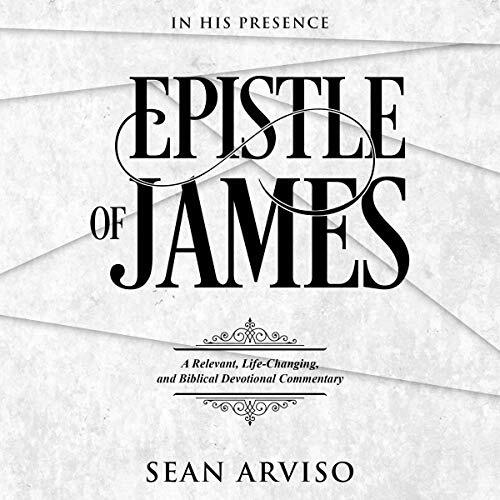 Not only did he take me through the book of James, he provided me with additional scripture outside of James to give more breadth and depth of what the Epistle was conveying. His daily devotional structure made it a journey versus a quick read, and the community he has created to compliment this study provided needed accountability to grow in my relationship with Christ. I appreciated the daily prayers and action points - definitely fed my desire for spiritual growth.